The Alexey von Schlippe Gallery at UConn Avery Point organizes and hosts four art exhibitions each year. The exhibits feature either historical or contemporary art, and are planned with both the university and local communities in mind. Christ Church School of the Arts, Inc. The City of New London Recreation Department provides recreation and leisure programs which are open to all residents in the City and seeks and supports participation by all citizens with a variety of interests and abilities. 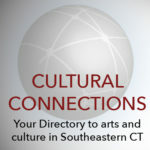 Connecticut College presents dance, music and theater performances by nationally and internationally renowned guest artists, faculty and student performers. New London Maritime Society's mission is to protect and preserve New London's Custom House and three area lighthouses, and to promote, interpret, and celebrate the maritime life & history of the port of New London through museum exhibitions, educational programs, and preservation initiatives. Eastern Connecticut Ballet (ECB) is the home of classical ballet training in the heart of southeastern Connecticut. Celebrating twenty-five years, ECB offers the highest caliber instruction and performance opportunities, challenging students to reach their full potential as dancers and artists. EC-CHAP is a member-based 501(c)(3) nonprofit organization representing an important cultural resource serving communities and visitors to Eastern CT.
Emerson Theater Collaborative (ETC) produces innovative theater and educational programs serving youth, under-represented communities, and both emerging and professional artists with an emphasis on diversity. ETC produces new works and modern theatrical classics, and collaborates with Emerson College alumni. Registered Partners are included in ONE primary category, listed alphabetically by Partner name. Artist and Creative Business categories also have ONE subcategory – if not specified, find the full list in the “all” listing for the category. Use tags, or search button to find details in the description or partner name.